JJ Goodman is the owner and founder of The London Cocktail Club. 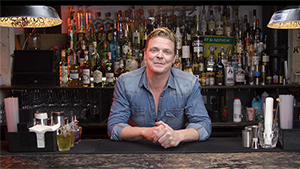 He has won the 42 Below Cocktail World Cup, was named in the London Lifestyle Awards as one of its 50 Most Influential People, and was recognized by Zagat’s 30 Under 30 as a trailblazer. In this course JJ Goodman will share his knowledge and experience on all the essentials of this much loved spirit; covering topics including its history, its various styles, the process of making gin and how to serve it. Bartenders and waiters, get ready to learn and understand the must-know basics of gin.